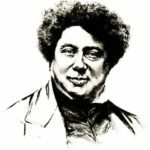 Alexandre Dumas was a French writer, playwright and journalist. His works have been translated into almost a hundred languages, and he is one of the most widely read French authors. He also wrote many articles for magazines and travel books. His work consists of 100 000 pages. In 1847 Dumas founded Historic Theatre in Paris. 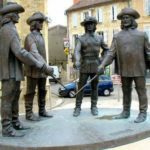 He earned his reputation thanks to the two most famous novels of French literature Count of Monte Cristo and The Three Musketeers. 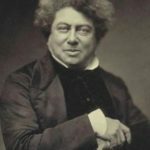 Alexandre Dumas was born on July 24, 1802 in Villers-Cotterets. 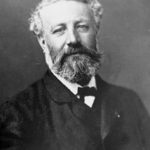 He was born into the family of General Thomas-Alexandre Dumas and Marie-Louise Labouret, the daughter of the innkeeper. His grandmother was a black slave from San Domingo. His grandfather French Marquis sold all their four children into slavery. Only four years later, he bought back one of his sons who subsequently became the father of the great French writer. 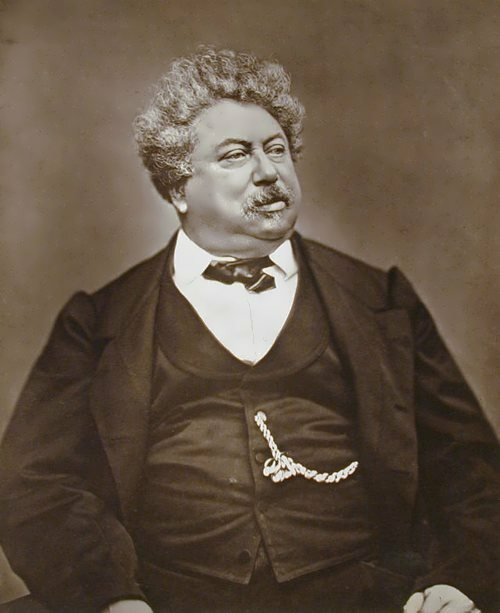 Dumas wanted to become a playwright. He attended the theater to study the profession of playwright. Dumas, who had to support his mother and an illegitimate son Alexander, wrote Henry III And His Court for two months. The premiere took place on February 10, 1829 in the Comedie Francaise. It was a success. In July 1830 there was the July Revolution in France and Alexandre was among the rebels. He took an active part in public life and carried out several important orders. 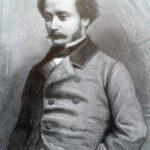 In 1832 Dumas left France for Switzerland, where he lived for several months preparing his first historical-journalistic essay Gaul and France (1833) for the publication. 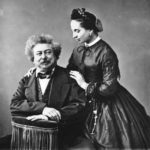 In 1840, he married actress Ida Ferrier, but had love affairs with other women. 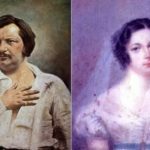 The couple actually separated in 1844, but they never divorced. Dumas earned a lot of money, but always spent it on a lavish lifestyle. In 1847, his castle named Monte Cristo was built near Port-Marly. 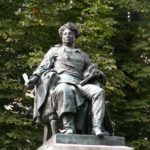 After the coup in 1851, he fled to Brussels (Belgium) where he began to write Memoirs. 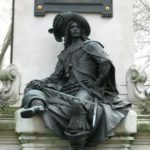 In 1853, he returned to Paris and the newspaper Musketeer (went bankrupt in 1857). In 1858-1859 the writer made a trip to Russia, traveled from St. Petersburg to Astrakhan and further to the Caucasus. 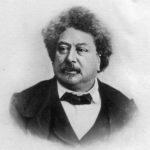 Alexandre Dumas died on December 5, 1870. His last years were softened by the presence of his son, Alexandre, and his devoted daughter, Madame Petel. 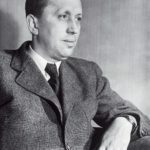 His works have been translated into many languages and served as material for numerous theatrical productions and films. – Dumas was an avid debater. 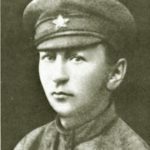 Once he had to shoot himself. He went out of the room and they heard a shot. After a short time he came alive and unharmed. – I shot, but unfortunately missed! said Dumas. 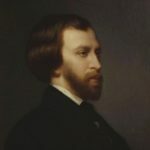 – The biographers say that the creator of the Count of Monte Cristo had from 350 to 500 mistresses. 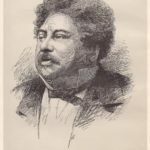 – Dumas was completely fascinated by Russia! Wherever he came he was warmly welcomed. In Dagestan he was even crowned as Emperor of Literature. – He was a great chef. He wrote one of the most popular cookbooks in the world. 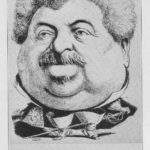 – Dumas opened the first kebab café in Paris. – He was fond of animals. There were dogs, cats, chickens, different birds and even monkeys. The most exotic bird he had was a vulture brought from the African voyage. – He had been working for 14-18 hours a day and produced more than 500 volumes of unique works!